Did you know that Kane County is the home of the what was once the largest prairie restoration project on Earth? 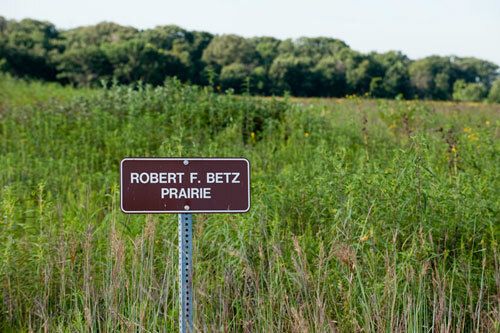 It’s true, and right now is a time of celebration, because The Robert Betz prairie at Fermi National Accelerator Laboratory turns 40 this year. It’s been four decades since Fermilab, working with local conservation groups, dedicated 650 acres of its property to growing and maintaining a variety of natural tall grasses and plants. 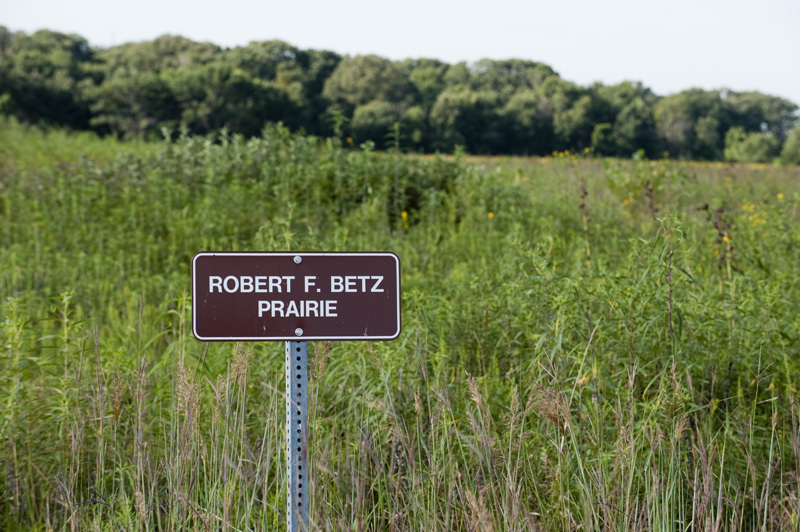 Over time, the prairie has been restored to roughly 1,000 acres, maintained through the assistance of a dedicated group of local volunteers and the Fermilab grounds crew. The laboratory was recently awarded the Conservation@Work Award from the Conservation Foundation for its decades of dedication to preserving the prairie. Over the next few weeks, you’ll have two opportunities to be part of the anniversary of the prairie at Fermilab. On Saturday, Oct. 3, and Saturday, Nov. 7, at 10 a.m., Fermilab will host its annual prairie harvest, inviting volunteers from the local community to help diversify the prairie. Fermilab has been hosting the Prairie Harvest every year since 1974, and the event typically draws more than 200 volunteers. The main collection area covers about 100 acres, and within it, volunteers will gather seeds from about 25 different types of native plants. Some of those seeds will be used to replenish other acres of the Fermilab prairies, filling in gaps where some species are more dominant than others. The event will last from 10 a.m. to 2 p.m., with lunch provided. Volunteers will be trained on different types of plants and how to harvest seeds. If you have them, bring gloves, a pair of hand clippers and large, paper grocery bags. In case of inclement weather, call the Fermilab switchboard at 630-840-3000 to check whether the Prairie Harvest has been canceled. More information on Fermilab’s prairie can be found at the Fermilab ecology website. For more information on the Prairie Harvest, call the Fermilab Roads and Grounds Department at 630-840-3303. Fermilab is America’s premier national laboratory for particle physics and accelerator research. A U.S. Department of Energy Office of Science laboratory, Fermilab is located near Chicago, Illinois, and operated under contract by the Fermi Research Alliance LLC. Visit Fermilab’s website at www.fnal.gov and follow us on Twitter at @Fermilab.